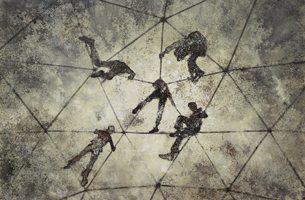 Boers-Li Gallery is pleased to announce a solo exhibition of new work by Ji Lei entitled Place of Games and including 20 recent paintings to open 24 February and run through 30 March 2011. Ji Lei’s series of work oriented around the figure of the amusement park was initiated in 2009, focusing on such images as derelict attractions, a twisting roller coaster, and a bungee jumper suspended in midair. In the contemporary metropolis, the amusement park is no longer limited to children but is rather in process of becoming an adults-only entertainment. As a supplement to the standard conformity of the city, it provides a space of affordable adventure alongside a guarantee of safety and trivial diversion; the amusement park of the urban age replaces the exploration of unknown territory that characterized ages past. Now the swinging vines of Tarzan of the Apes have become steel cables and the ship trapped in the vortex of King Kong has been reduced to a roller coaster, just as waterfalls are transformed into hidden artificial fountains. For Ji Lei, the emotional catharsis people of the city find in such petty diversions indicates that the amusement park represents a junkyard of urban affect. Visitors pay a fee to enter, engage in a set of ceremonies of risk, and release their negative emotions, a trajectory that often resembles the exorcism rituals of primitive religion: the amusement park becomes an altar for the rites of contemporary society. The works of the amusement park series are comprised of three primary elements: mechanical structures (the facilities of the park), people looking for entertainment, and a hazy sky. In terms of visual composition the work appears to stand in the remains of modernism, strikingly similar to Le Corbusier’s sketches depicting the industrial dreams of modernism. But for Ji Lei these compositions do not reflect the precision and logic of architectural drawings but rather convey the spatial imagery produced by the feeling and brushwork of Chinese calligraphy: unlimited, chaotic, subjective, relative, and still. Here the boundaries of space become a form of the imagination as real time is blurred. Aside from these bizarre and manic compositions, Ji Lei also produces in his work a special sense of light, emitting a strange halo. They appear hazy, like dusk or dawn; like a looming rainstorm and as if they have just been purified by rain. As with the odd compositions, light in these works seems to have lost temporal direction. Ji Lei’s “Amusement Park” series also obliquely reflects the difficult circumstances of the post-70s generation of artists at the present moment. Having entered the art world during the market bubble, their intellectual field has been fractured: on the one hand it comes from the formal realist system of the academy while on the other it is influence by the thirst for new work from the art scene proper, a rupture that can be resolved only by the adoption of symbolism and imagery--the effects of which are exacerbated by their entry into the commercial realm. As such, artists born in the 1970s tend to share an ignominious introduction to work of a symbolic nature; in the years before and after 2008, they were forced to confront the problem of escape from the grammar of the symbol. Ji Lei’s recent work should be viewed in light of this background and as a representative attempt at such experiments. If the “Amusement Park” series demonstrates a ritual by which affect is exorcised from contemporary society, we might also say that, in terms of the artist’s practice, the project also serves to exorcise the turn toward symbolism. Ji Lei was born in 1972 in Chengdu and graduated from the Southwestern Normal Univeristy School of Fine Arts. He currently lives and works in Chengdu. Among other notable exhibitions the artist also participated in the first Nanjing Biennale in 2010 at the Jiangsu Provincial Art Museum. 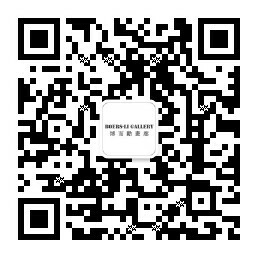 For more information on the coming exhibition, please feel free to contact us.